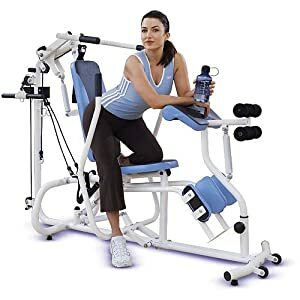 Circuit Trainer including all parts and instructions for $99. Originally purchased from Costco and is in excellent condition. Call 760-497-2122; located in Rainbow Valley. On Aug. 24, a headline in the Los Angeles Times read, "At least 3 killed when gravel truck careens off highway in Santa Barbara and into a house." The runaway aggregate truck with failed brakes and a load of 26 tons of gravel from a quarry sped downhill at 45 to 50 mph on Highway 154 before rear-ending two parked vehicles, plunging over an embankment and falling 15 feet onto a house, destroying the house and killing three people inside. The mountaintop site southwest of Temecula, chosen by Granite Construction for its proposed Liberty Quarry, would be a perfect setting for a similar accident. According to Granite's draft environmental impact report, the quarry access road would include grades of up to 18 percent and a steep switchback. The access road is above Interstate 15. In addition to truck accidents, other problems exist with the site. The quarry activities of blasting, penetrating the underground water table and extracting tons of rock would create geologic instability. This could bring on landslides, earthquakes, or produce boulders of "flyrock" from blasts that go wrong. The quarry's mandatory usage of 472 gallons of clean water per operating minute in this drought-stricken area is another issue. This will take water from existing businesses, residents and agricultural producers. Granite's own draft environmental impact report states that the quarry may not have a water source to complete its operations and a guaranteed water source must be identified before the project can be approved. There are other issues. The quarry, its asphalt plants, cement batch plant, and hauling trucks would produce 450 different chemicals (40 proven toxins) that would contaminate the air. The scientific research of the world-renowned Santa Margarita Ecological Reserve, adjacent to the site, would be negatively affected. The 1,600 truck trips to and from the quarry daily would create an I-15 traffic nightmare. Pollution of the Santa Margarita River, the last free-flowing coastal river in Southern California and major drinking water source for Camp Pendleton, would occur because of the porous rock at the quarry site. Granite received the largest fine ever imposed by the state of Oregon for water pollution. Does risking all of this make sense? Rock at the site has been analyzed by at least two teams of geologists and found not to be granite, but rather a mylonitic granodiorite and to be porous (possibly up to 30 percent). "There is a certain probability that the rocks at the proposed site will be damaged (fractured and weak) to considerable depths, and that they may contain significant porosity and permeability." (San Diego State University) The structure and porosity of this rock poses a significant risk to both the hydrology of the area and the regional seismic stability. Now we have another possibility to think about. Fully loaded gravel trucks losing their brakes on the substantial Liberty Quarry access grades and careening down the mountainside into traffic ---- all for rock not worth mining and not proven to be needed. It's the wrong project in the wrong location. Laurenn Barker is a De Luz Valley grower in Riverside County. "No gain for Riverside County if quarry goes in "
There are so many inaccurate assertions floating around from Granite’s letter writers these days. The "many" jobs claimed to be created by the proposed quarry will be only replacements for competitors' lost jobs in other Riverside County quarries currently providing the aggregate. Net sales tax will not change; there is no gain to the county by switching from one location to another. Often, as in the case of Robertson, who happens to be the company doing the work on Highway 76 in San Diego County , they have their own quarries. They would not buy from Granite and this is the case with most companies. In fact, Robertson stated that "98 percent of the time they use their own material." This is so basic! So clear. It is ludicrous for Granite to promise these jobs. How, then, can Granite say their quarry will be a "long term stimulus project" when there is no product being sold and volume is less than half of what it was? A friend and manager of one quarry company insisted, "There will be no economic boom for the next 100 years!" Google EDGAR (database for corporate financial information) and check out the last quarterly earnings for Hanson, Vulcan, Granite, Mitsubishi, etc. See the reduction in sales. As to any advantage to the County of Riverside , employment is related to volume of work. There would be no minimum royalty to the county. Rick Kellogg has alluded, several times, to the "superior quality rock" on this particular site? This is simply not true. Sources and quarries in Corona and surrounding areas say otherwise that "their product is high quality aggregate." Core samples from the proposed site were provided by Granite Construction. These were given to and analyzed by scientists at SDSU. Their results proved that the rock in this area was inferior quality granite. In addition, a hydrology study done by "Hydrofocus," commissioned by Endangered Habitat League, showed this same rock to be extremely porous. Would this leak pollutants into the Santa Margarita River? What do you think? This said, let’s examine just why Granite wants to put a quarry at this particular location. It is not the quality of the rock. It is not the necessity for more aggregate; There are plenty of quarries in Riverside County . Could it be that, because Granite is first and foremost a road building company, it would be to their advantage to have control of another (besides Rosemary’s Mountain quarry, which is only doing approximately 12 percent business) aggregate source close to San Diego County, thus, allowing them to be the "low bidder" on future jobs? I am writing this letter as one of the thousands of residents within one to two miles of the proposed quarry site. Looks like Rick got that one wrong too. Jerri Arganda is a Rainbow resident.